The wild first episode of the Duplass brothers' new HBO show is decidedly not "Togetherness." Jay and Mark Duplass are creators who don’t like to be put in a box, even if they’re making six hours of television set within the same four walls. “Room 104,” the new HBO anthology series from the Duplass brothers, tells individual, episodic stories in each of its 12 half-hour installments, and all 12 are set within the same cheap, dingy hotel room. The first episode, which premiered at the ATX TV Festival Saturday evening, is a lot closer to Mark Duplass’ work in indie films “Creep” and “The One I Love” than the brothers’ former HBO comedy. During a panel discussion following the episode, Duplass said he felt inspired by the constraints of the premise. “I have something like 218 ideas in a Word document on my computer,” Duplass said. Noting how it felt like he was back making low-budget indie films, Duplass said he wrote seven of the 12 episodes in Season 1. 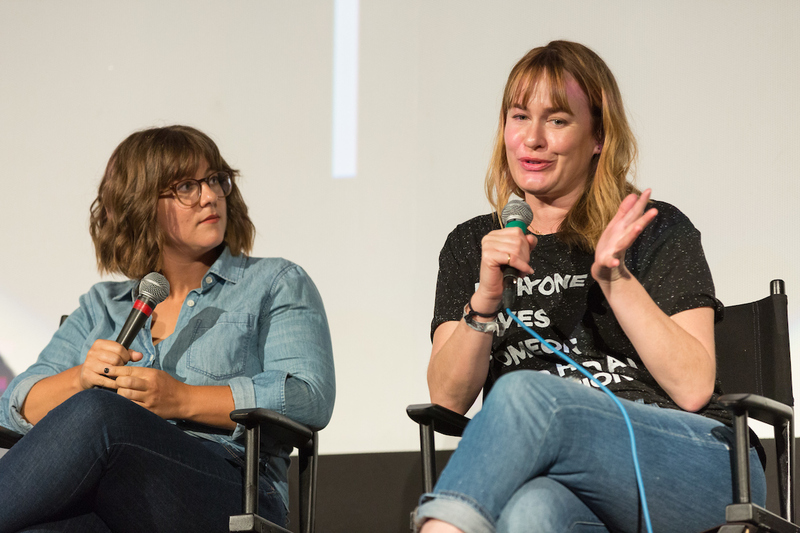 Executive producer Sydney Fleischmann, who joined Duplass and music supervisor Maggie Phillips on the panel, said a lot of Duplass was embedded in the show. “In those seven episodes, we learned a lot about Mark Duplass,” Fleischmann said, poking fun at some of the dark content inherent in the show. That being said, Duplass was quick to point out they hired new directors for every half-hour entry — young directors who were “hungrier” than he was. “This seemed almost like it could be a Triple-A ball club for what we wanted to do in films later on,” Duplass said. And it was easier than he expected to hire them. When he pitched the idea to HBO, he was worried they wouldn’t be interested unless he get big name directors, writers, and actors to sign on for individual episodes. But HBO President of Programming Casey Bloys countered him and suggested they hire young, promising filmmakers behind the camera and spotlight diverse character actors in lead roles. Duplass also noted how he was able to make the series on a very low-budget; a decision he made to make sure they “could take creative risks,” as well as to show HBO what can be accomplished by talented filmmakers when given the most basic means to create. Unlike the cliches attached to other series, the setting really is a character in “Room 104.” It’s actually the only character that will recur in Season 1. (Duplass noted they’re open to bringing people back in future seasons, but weren’t ready to commit either way.) Throughout, viewers will see the average American hotel room change slightly — “We go back in time,” Duplass said — and stories fitting multiple genres will take place during the season. So even if Episode 1 shocks you — as it did the gasping audience at ATX — don’t expect the same experience the following week. Actors include: Hugo Armstrong, Davie-Blue, Melonie Diaz, Jay Duplass, Veronica Falcon, Adam Foster, Ellen Geer, Keir Gilchrist, Philip Baker Hall, Sarah Hay, Poorna Jagannathan, Orlando Jones, Ethan & Gavin Kent, Amy Landecker, Konstantin Lavysh, Sameerah Luqmaan-Harris, Keta Meggett, Natalie Morgan, Ross Partridge, Karan Soni, Dendrie Taylor, Tony Todd, Will Tranfo, James Van Der Beek, Mae Whitman, and Nat Wolff. Directors include: Anna Boden & Ryan Fleck, Patrick Brice, Marta Cunningham, Doug Emmett, Megan Griffiths, Dayna Hanson, Chad Hartigan, Ross Partridge, Sarah Adina Smith, and So Yong Kim. Writers include: Xan Aranda & Ross Partridge, Anna Boden & Ryan Fleck, Mark Duplass, Dayna Hanson, Carson Mell, and Ross Partridge. The ATX TV Festival runs June 8 – 11 in Austin, Texas. IndieWire will be on the ground throughout, so check back for more coverage.